A few weeks ago, the Gwangju Biennale (광주비엔날레) censored Hong Seong-dam’s (홍성담) painting Sewol Owol. Many news sources focused on one small part of the painting. With the support of my colleague, Hanna Yoo, I explain and analyze the entire painting in an article for Dilettante Army. See excerpts below and visit Dilettante Army for the full story. 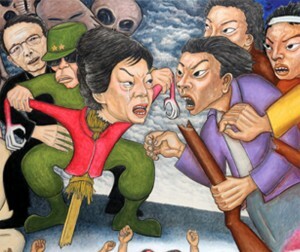 “Censorship and government control is still a major thread at the Biennale, where a painting concerning these South Korean leaders has caused significant upheaval. “Restricting Eyes”: Lee Yong-woo on Gwangju Biennale Censorship by Julie Baumgardner explains why Lee Yong-woo, its cofounder and president, resigned his position—censorship of artist Hong Seong-dam’s paintingSewol Owol. Intended to be part of a commemorative exhibition at the Gwangju Museum of Art (GMA) celebrating the Biennale’s 20th anniversary, the painting is a raw tribute to the tragic sinking of the Korean ferry last spring which killed nearly 300 people, mostly high school students; it is an artwork created in the true spirit of the Gwangju Uprising. When presented to the GMA officials mere hours before the opening on August 8, the officials called a meeting and decided to postpone any decisions until the middle of September. At that point Hong withdrew the painting. In addition, at a press conference Lee stated, “I don’t think it is taboo to satirize a country’s president…Freedom of artistic expression should not be restricted by the government just because they have the exhibition budget under their control” Lee alludes that the government has more say in the Biennale than the public may realize. Among the controversy, some sources were able to shift focus back to the artwork. Art Radar Asia reviewed eight artworks from the Biennale including Minouk Lim’s Fire Cliff 3. I wrote about Lim’s Fire Cliff series when she came to Chicago in 2013. The Economist also touched on some of the artwork and the head curator, Jessica Morgan. Morgan has continued to progress; Art in America just announced that the curator will be the new director of the Dia Art Foundation. 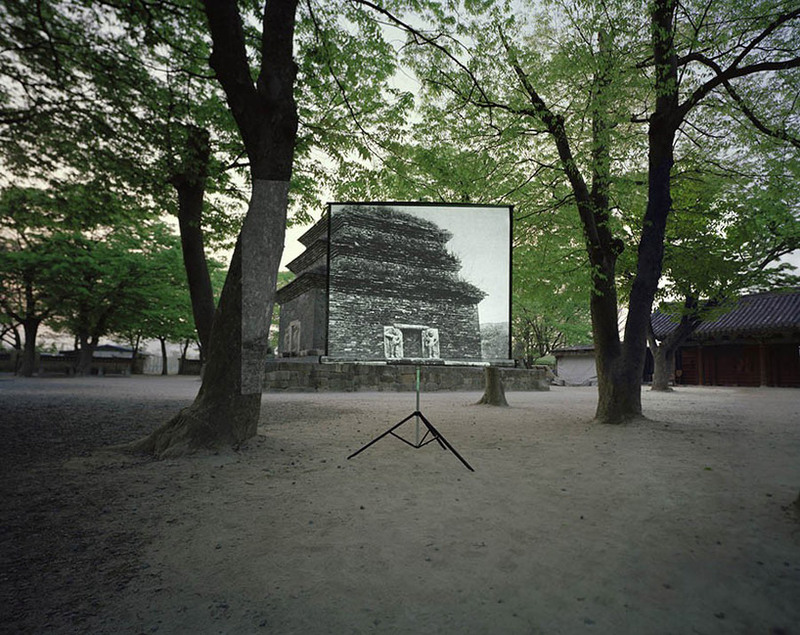 “The digital sphere offers a relatively limited number of resources on contemporary South Korean art in English, especially compared to Korea’s East Asian neighbours. Although online resources for English-speaking art professionals are becoming more abundant, a need still exists for varied and critical debate among the online art community.